Provides transitional housing to women in crisis, case management for clients in poor neighborhoods, home visitation, food distribution and emergency assistance for rent, utilities in one of the poorest areas of town. 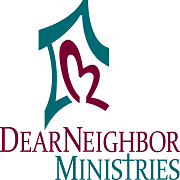 Are you familiar with Sisters Of St. Joseph Dear Neighbor Ministries, Inc.? Help FreeRehabCenters.org users find out answers.